Today was a day to acclimate to the altitude, which meant climbing high and coming back to sleep lower. Our trek began just after breakfast and took us up to just under 4,000 meters. The climb was steep to begin with and I was having more trouble than yesterday. But the work was well worth the payoff, our first view of Everest itself. What was interesting was a peak that was in the foreground as we stood in awe, is actually below the point where we’ll be sleeping at base camp. You feel like you’re way up already, but that just really brings it into perspective. 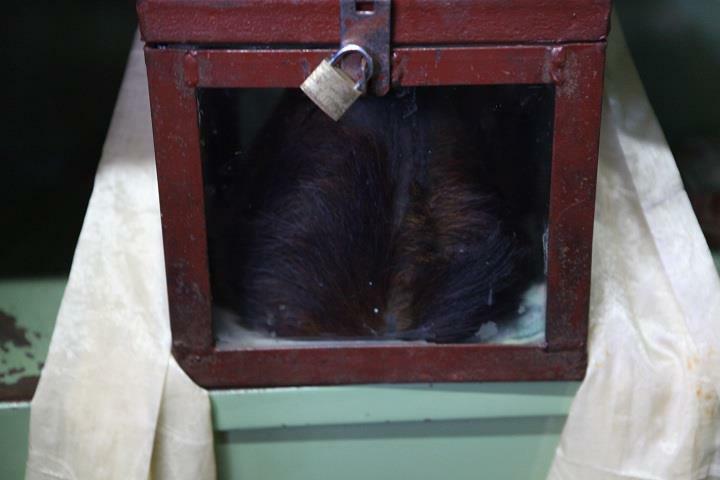 We then headed down to the hometown of our Sherpa guide for lunch and to view what is said to be the skull of a Yeti. Then it was back to the Hotel Panorama. Tomorrow we continue our trek upward. "Yeti skull" - Is it or isn't it?